So, how was your weekend. I had super fun at a friend's place who had invited us over for lunch. We took our baby along and he had a fun-filled day at their place, mostly busy exploring nooks and corners of their home. She also cooked some awesome food for us, which all of us thoroughly enjoyed. All in all a very fun-filled weekend. 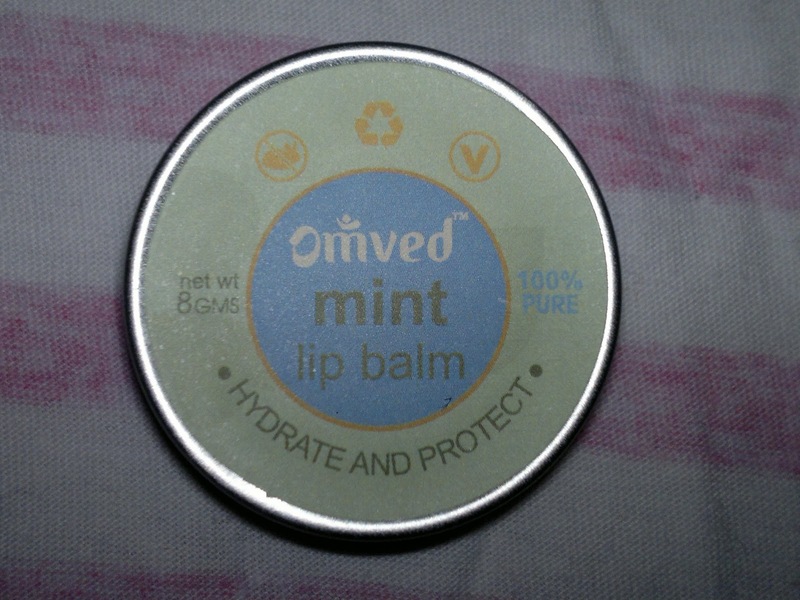 So, today's product is a Omved Mint lip balm which I received as a part of my blisscovered January box (shown here). I had never heard of this brand before blisscovered happened as they have stores in Mumbai only. So, I was glad to receive a product from a new brand. The lipbalm is full-sized (8 gms), which retails for INR 250 on the blisscovered website and also Omved stores. 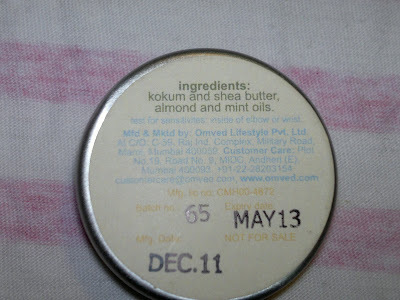 This lip balm comes in a chotu metal tub packaging (which is identical to L'occitane solid perfume packaging, would review that soon here). The cover is slid to reveal the lip balm. The packaging is quiet elegant and a nice change from the plastic tub packaging which I have usually purchased. The list is quiet small with only four constituents, no preservatives, no additives, and no colours. I have been using this for the past one week and have good feeling for it. The lip balm as such is moisturising, hydrating, has a very slight minty smell, which disappears within a minute (good for people allergic to artificial smells), has a very light texture, and on application does not give a waxy feeling on your lips. The lip balm glides on smoothly, is very light almost like almond oil, and gets easily absorbed in the skin of my lips, and moisturises dry lips very well (especially in this winter season). The only con for me has been the fact that the balm doesn't come in a tube packaging (I have to dip my fingers in the tub). 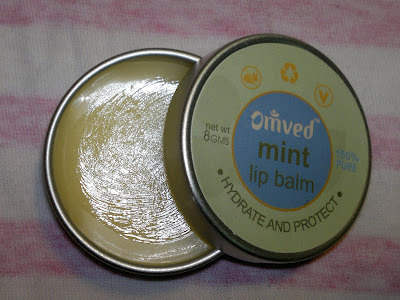 I apply this balm day in and out and it has made my lips soft and supple. Miraculously, my lips have stopped chapping completely. Product rating: A. Availability: the lip balm is available in Omved Mumbai store and also online via the blisscovered site. Personally, I would be buying this again, loved it. You can check out blisscovered for more such exciting luxury brands.